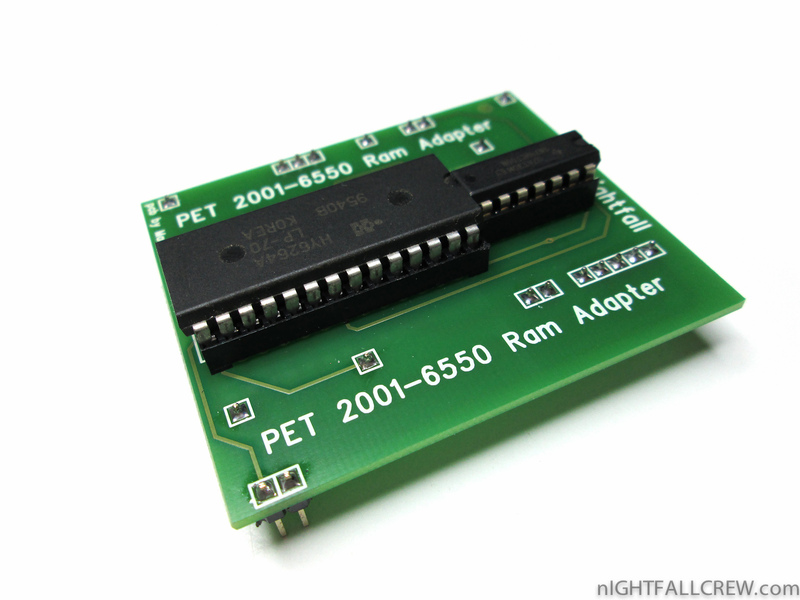 This adapter replaces all ram installed in the Commodore PET 2001 with a 6264 Static Ram and is useful when one or more ram are faulty. 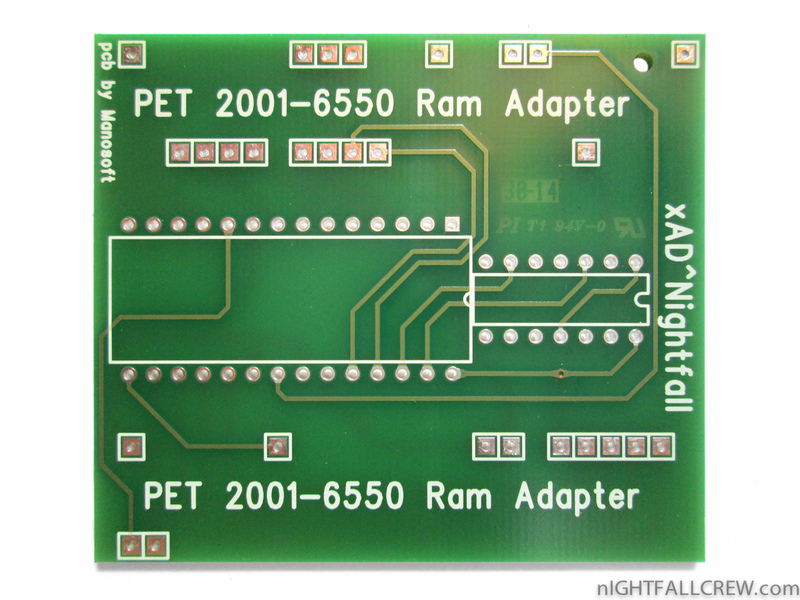 These type of ram are no longer available to purchase. 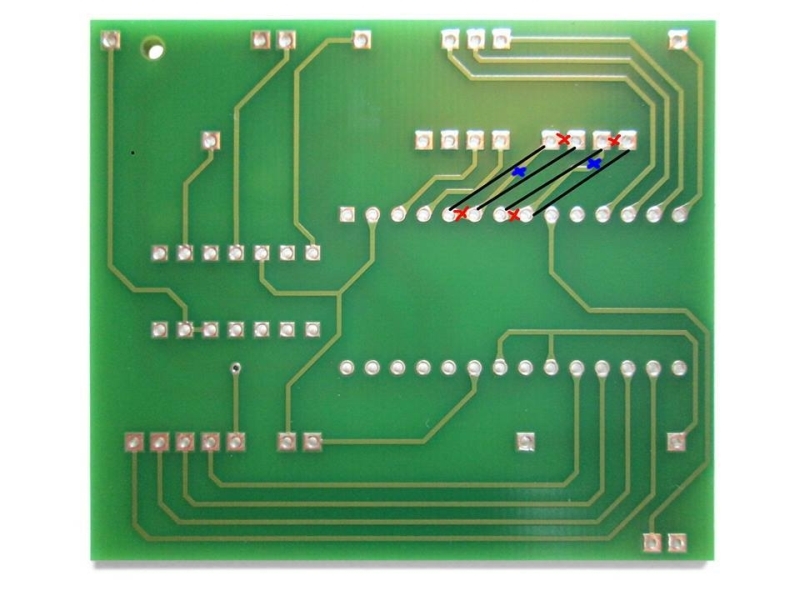 NOTE: This adapter will only work to replace a chip with a part number starting with MPS 6550. They will NOT replace other RAM types used in Commodore computers other than the original Commodore PET 2001. 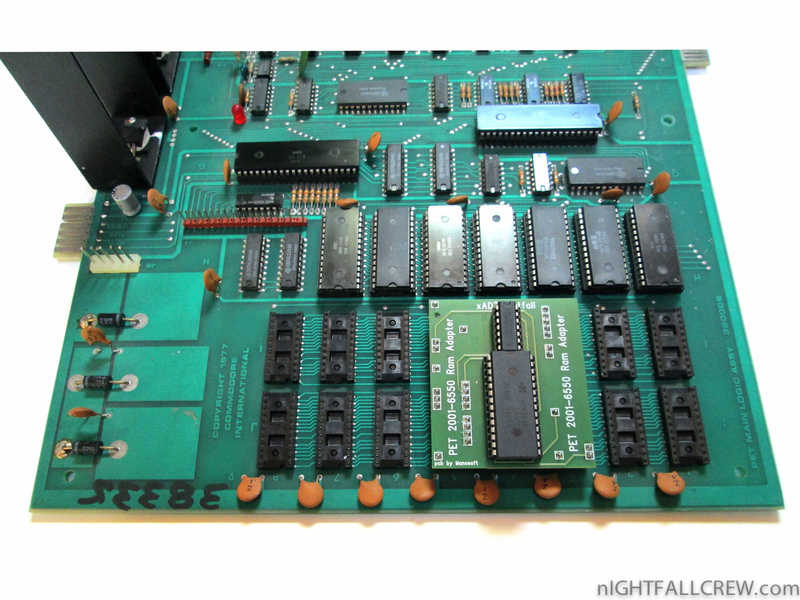 The original design was done by Donni of the VCF forum (Vintage Computer Forums). 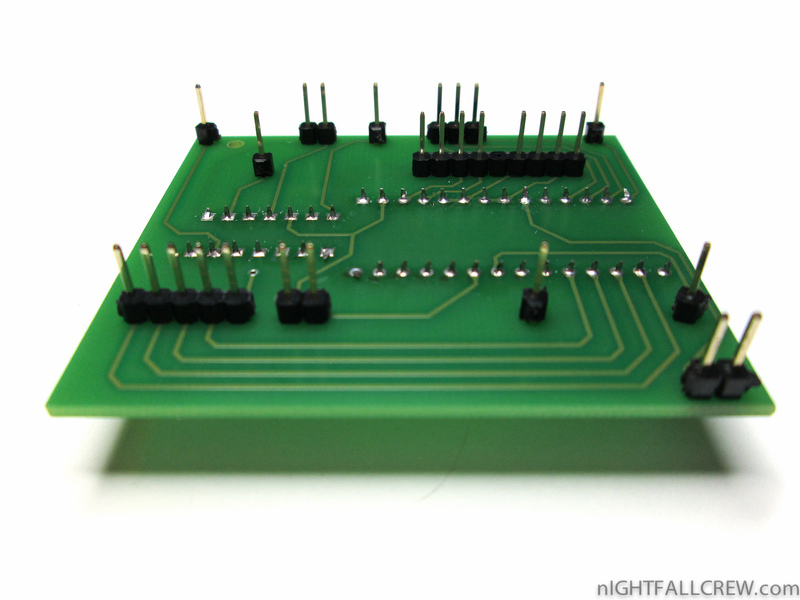 Do you sell these boards? 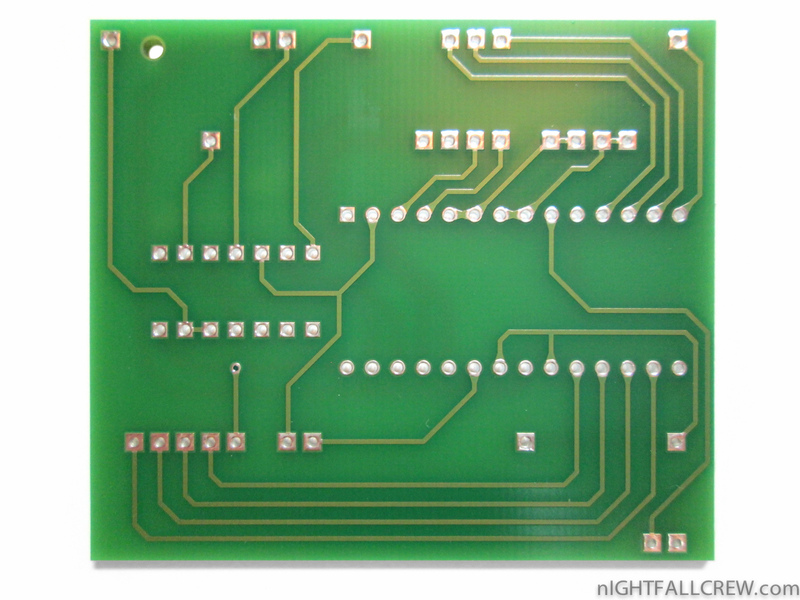 Could you sell me 1 piece of this board? I have a PET 2001-N8 , will this replace all the RAM, and where can I buy one. Do you have a sugestion for replacing the video RAM as well ? Questi stampati non sono mai stati in vendita perche’ hanno un problema di progettazione e non sono state fatte nuove ristampe. Ci sono diverse soluzioni in rete per sopperire al problema delle RAM 6550. 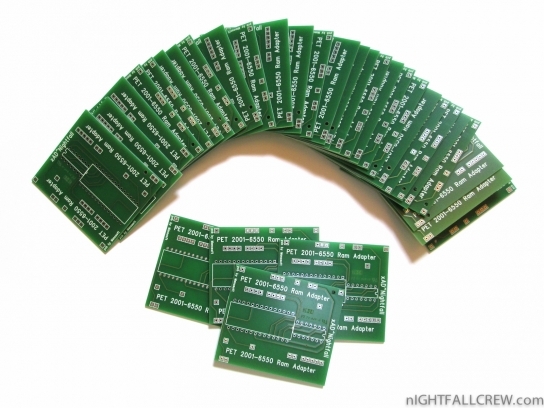 Can you tell me what kind of logic chip is used ? Hi Harrie, look inside the .zip of the schematic archive.